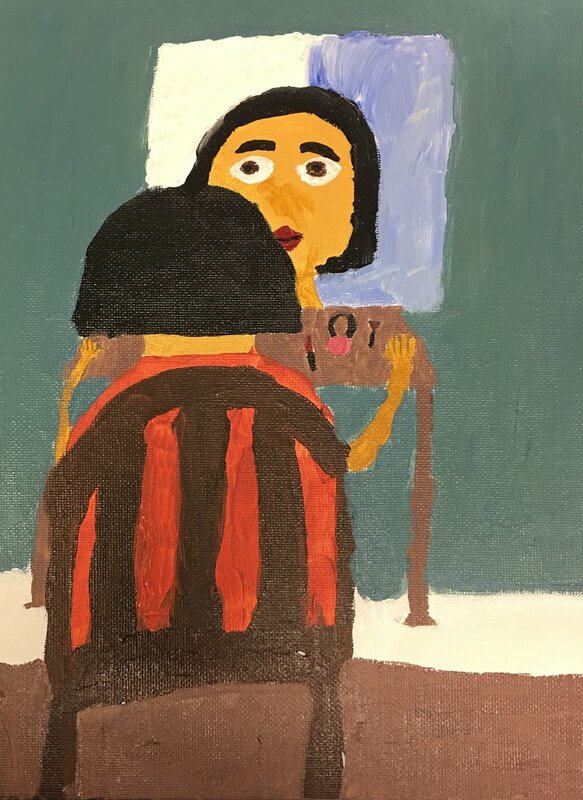 In my Tuesday afternoon class, I teach a group of enthusiastic 9 - 12 year old artists. We have spent a few weeks learning about the proportions of the human face and body. We used graphite pencil, a mannequin head and a drawing mannequin figure to start our studies. 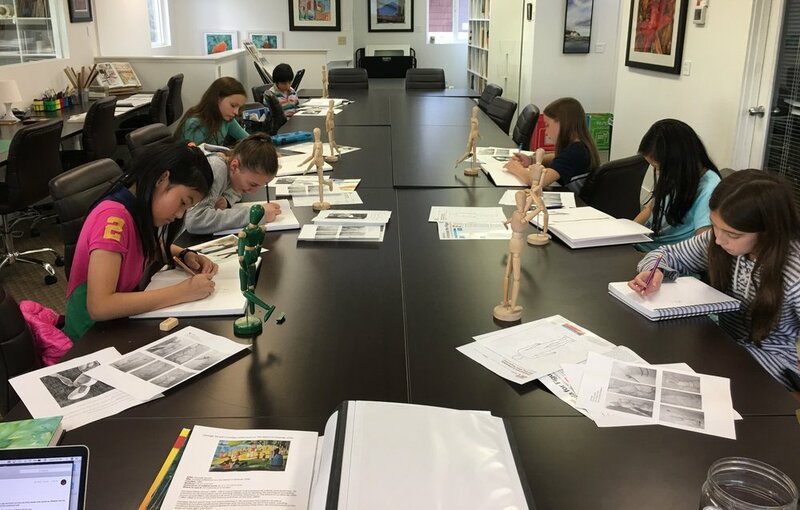 After drawing faces and figures in graphite from mannequins, the young students were ready to create a color pencil drawing or acrylic painting from their imagination, using what they had learned from our proportion studies. These are some of their final pieces. Well done all!